A VERY DIFFERENT NEW HOME! 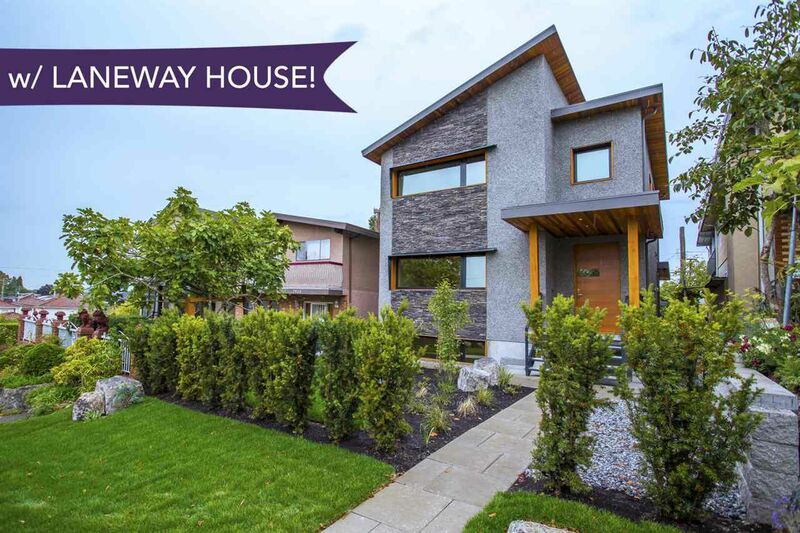 Vancouver's 1st single family detached home built incorporating "Passive Solar House" design available to buy! Designed by LANEFAB. Own 1 of the city's most efficient & comfortable homes. Implementing "Passivhaus" energy efficiency techniques, it features 17" super-insulated walls, triple glazed windows strategically placed to bring in heat when it's cold, & keep it cool when it's hot. A new level of of comfort year round + super quiet. Save $$ on utilities + contribute to a healthier environment. A modern 2 bed (reverse plan) LANEWAY HOUSE + 2 beds in the BSMT offer a variety of options. Mountain VIEWS! 2/5/10 Warranty. Close to Transit, shopping, schools, parks, + Hwy 1. FLOOR PLAN available.